This presentation will discuss the evolution in the use of glucoamylase from the making of “light” beers by the big brewers, to ultra-high gravity beers with ABV’s nearing 20%, all the way to today’s popular Brut IPA style. 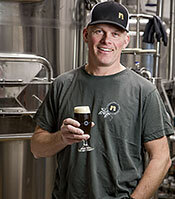 Steve is the Brewmaster and COO of Ska Brewing Co. in Durango, CO. He started his career on a bottling line in 1995 at Saxer Brewing Co., and has been in the industry ever since. 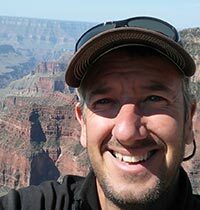 He has worked for multiple companies including time at notable award winning breweries such as Snake River Brewing, and Avery Brewing Co. 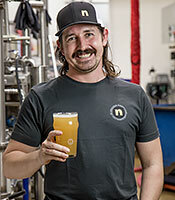 He is a graduate of the UC Davis Master Brewers Program (1996), and although he has been a part of creating many award winning beers over the years, Steve is most proud of the teams he helped put together, which made those beers a reality. Note: This seminar will accommodate 60 people. Purchase Your Seat now. True to style and True to ourselves. Our journey of crafting balance and quality in our beers over the latest craze or explosive flavor. Perceptions of craft beers have changed while many of our recipes have stayed the same. How we can stand out from the crowd with simple beers. Nynäshamns Ångbryggeri is one of the first breweries of the new wave of craft breweries that started in Sweden back in the late nineties. Our brewery was founded in 1997 and since then we have been brewing true to style, highly drinkable beers with quality as our first priority. We are not participating in the race of brewing the craziest stuff or the highest ABV. For us, beer is a social drink, made to be consumed in volume, not just tested or ticked off on your favorite rating site. However, we do produce some great high ABV beers such as our Barley Wine and Imperial Porter. We choose to brew elegant and traditional European styles. As one out of four founders of the brewery, and former head brewer, Lasse is the guy behind all of our recipes and great beers. Today he is responsible for our laboratory and quality testing program. Current head brewer, brought from Australia to Sweden by his girlfriend. Specializing in barrel aging and pulling bad jokes and in between laughs he is managing the production at the brewery. "The best part [of Big Beers weekend] is quite easily the seminars, where attendees can learn in depth from brewers and industry veterans." "These seminars feature the best brewers from Colorado and the country expounding on daring ways to make their beer." "It’s not just a festival. Beyond the incredible Commercial Tasting, there are seminars, dinners, breakout sessions, classes... and more..."